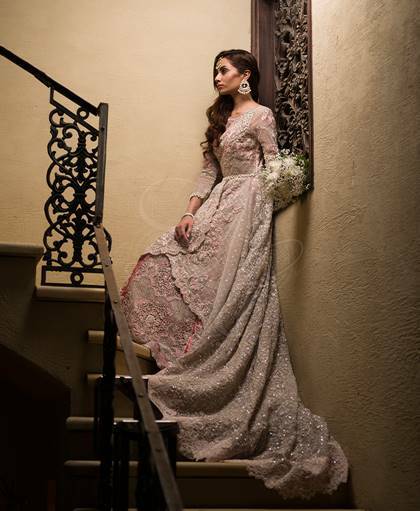 Description: Powder Pink filigree net (jaal) gown with a peplum top and Rose pink skirt. Customization including colour change facility is also available. Please contact for price and delivery options.